Factropolis -- A Fun Fact Every Day! 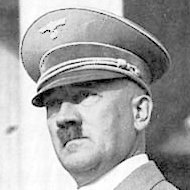 : Adolph Hitler played chess daily. He always played the white pieces, and insisted on being allowed to replace one of his bishops with a second queen. Adolph Hitler played chess daily. He always played the white pieces, and insisted on being allowed to replace one of his bishops with a second queen. You really need to get better sources. This just makes you look like liers.. I mean Chess dot net is the source for this fact ? really ? You already posted this fact.